New Moon was opened in 1996 by Holly Dunbar, a Licensed Massage Therapist (LMT) and Registered Herbalist (RH) with the American Herbalist Guild (AHG). Holly combines the best of her knowledge in both fields in her one of a kind aromatherapy product line, which she continues to refine and grow. Our practice offers a range of effective massage and bodywork techniques, facials and herbal medicine consultations. 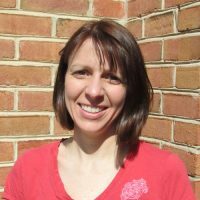 The owner and founder of New Moon, Holly is a 1995 graduate of Baltimore School of Massage, and a 2000 graduate of East West Herb School. Holly has also completed a certification course in Aromatherapy, and advanced studies in orthopedic massage. 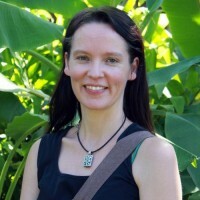 She is a professional member of the American Bodywork & Massage Professionals (ABMP), and the American Herbalists Guild. Holly’s eclectic approach to bodywork may combine deep tissue, myofascial release, aromatherapy, acupressure, and hot stone massage to achieve desired results for clients. Holly is also a professional herbalist who works with clients on a variety of conditions. She completed studies in Chinese and Western herbalism at the East West Herb School in Santa Cruz, CA and completed a 300 hour mentorship with herbalist Michael Tierra, L.Ac., OMD. She has also completed aromatherapy certification with Light and Bryan Miller, and sub. studies in Western herbalism at Dreamtime School in Washington, VA., as well as many other trainings throughout the country. Holly also has taught classes at Civista Women’s Health Center and throughout the community. The New Moon aromatherapy product line is a creation of Holly’s that brings the best of her knowledge of herbalism and the body, combined with a belief in the healing power of natural ingredients. Melanie has been a practicing, Licensed Massage Therapist since 2002, and Licensed Esthetician since 2014. She is a graduate of Baltimore School of Massage, receiving training in Swedish, Deep Tissue, and Myofascial Release; and Chesapeake School of Esthetics, where she studied skincare. She is a professional member of ABMP and ASCP, massage and skincare organizations. Her advanced studies include Relexology, hot stone, and Rejuvenating Facelift Massage. She has prior experience working in chiropractic offices, private practice, a medical day spa, and massage clinics. Melanie uses a combination of therapeutic techniques to best suit the massage client, and each facial session is customized for optimal results. Sylvia graduated from Baltimore School of Massage in 2000, and joined New Moon for the first time in 2002. She took a professional break for motherhood and came back to the practice in 2015. Her sessions seek an integrated balance of multiple modalities, including Swedish, deep tissue, hot stone, myofascial release, and upon consent, energy work. Sylvia trained at the Synthesis Center of St. Mary’s to achieve her Level 2 Reiki status, and has completed coursework in Healing Touch and Craniosacral Therapy. 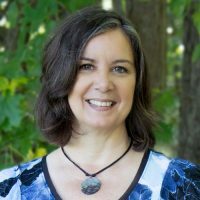 She is a professional member of ABMP, and a professor of massage therapy at the College of Southern Maryland. 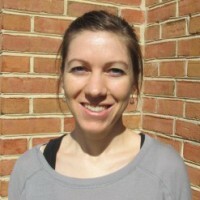 Shayna is a graduate of the College of Southern Maryland Massage Therapy program, where she earned her associates degree of Applied Science in Massage Therapy. 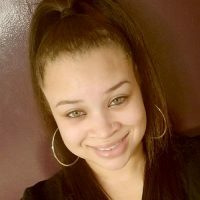 Since graduating, Shayna has been seeing many clients at Massage Envy in Waldorf, and also at Pilates Plus Wellness Center in Upper Marlboro. 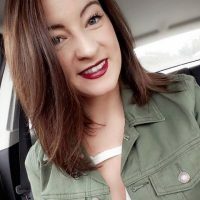 Shayna is trained in Swedish, deep tissue, hot stone, and myofascial release, and she has a particular affinity for myofascial techniques. She will be pursuing studies in reflexology and pre-natal massage as well this year, and is building a strong clientele here at New Moon! Carolyn Engleson is a Registered Nurse with the Charles County Health Department. She graduated from George Mason University and has been a professional nurse for 33 years, Throughout the course of her career she has specialized in Labor and Delivery, Maternal Child Health, Oncology, Urgent Care, School Health, Infectious Disease and Community Health Nursing. She currently works with the elderly, pediatric and disabled population of Charles County assessing and facilitating their ability to remain in their home environment. Mrs. Engleson enjoys genealogy, crocheting, cats and empowering youth and women. She received her Reiki training and certification at The Joyfull Spirit, in Manassas, VA. Practicing Reiki emerged as an extension to her holistic nursing practice, which embodies treating the whole person, mind, body and spirit. She is a certified holistic nurse and belongs to the American Holistic Nurses Association. Sara recently became a Licensed Massage Therapist after graduating from Morrisville State College in her home state of New York, with her Associate in Applied Science focused in Massage Therapy. While attending school Sara was trained in Swedish massage, deep tissue massage, hot stone massage, cupping, and Lomi Lomi. Sara is also a Certified Pharmacy Technician and, after seeing patients leave the pharmacy stressed out and in pain, she knew there had to be another way to help people besides with medication. Stress is taxing on the body and can present itself in physical, as well as emotional ways. Sara’s interest in massage therapy began when she realized she wanted to provide relaxation to people in this hectic world we live in today. She believes taking time to connect with yourself and give your body what it needs is essential to being a healthy person. She hopes to provide her clients with the pain and stress relief that they have been looking for, and loves seeing her clients leave a little less stressed than they were before their massage!